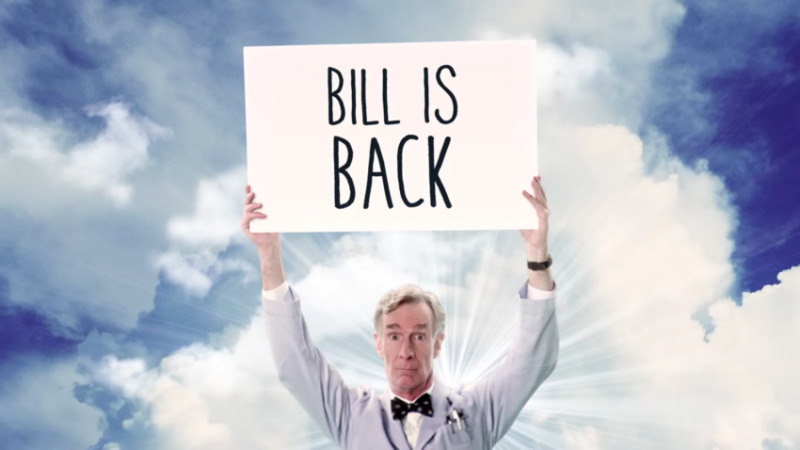 With everything going on in the world such as Alternative Facts, made up terrorist attacks, and what seems to be a dismissal of scientific facts it’s nice to see that Bill Nye is here to save us all. Learn how science works, how it factors into our daily lives, and how we can hopefully save the world. It’s nice to know we can trust in Bill Nye to not let knowledge be left out of society. Bill Nye – science guy, educator, mechanical engineer, and curator of curiosity – returns with a new show. Each episode of Bill Nye Saves the World tackles a specific topic or concept through lively panel discussions, wide-ranging correspondent reports from a crackerjack team, and Bill’s very special blend of lab procedure and sly personality. Bill Nye Saves The World arrives April 21, only on Netflix.